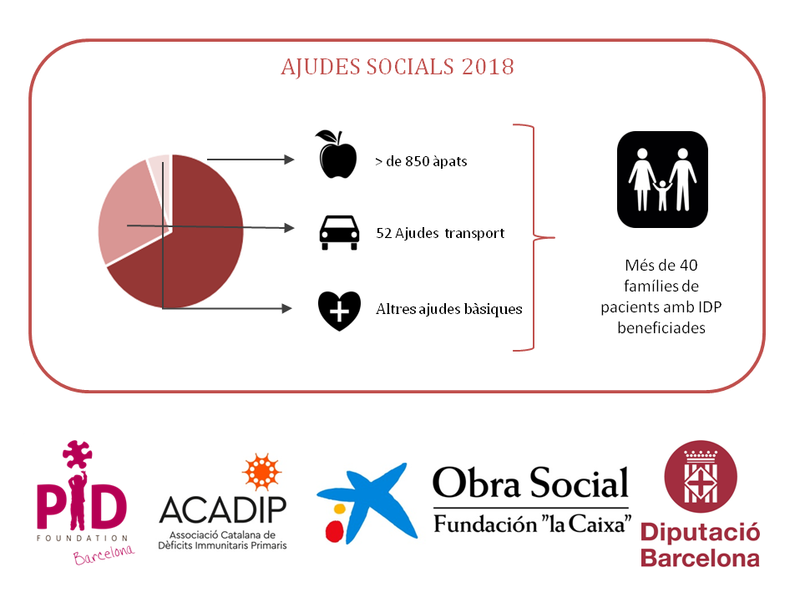 The project "I have PID, I'm not alone" closes the year 2018 and we make count on all the social aids distributed to support PID children and their families. These grants are thanks to the great support from "la Caixa" and the specific dietary support from the Barcelona Council. During the year more than 850 menu tickets were distributed to relatives of the patients admitted and 52 travel aids were given. For the hospitalized children, 35 backpacks with welcome kits have been given with material to play and to be distracted. This year, there has been a subsidy for the laundry service for 5 families and a lodging aid for those families with admitted who live far from the hospital. By 2019 we hope to continue offering these supports to caregivers of children with PID.